Ohhhhhh, very cool. This is great information for troubleshooting! I have three trace flags enabled, which we typically recommend for all installations*. Cool. What happens if I use a trace flag, like 9130 to push out residual predicates into a FILTER operator, in a query hint? 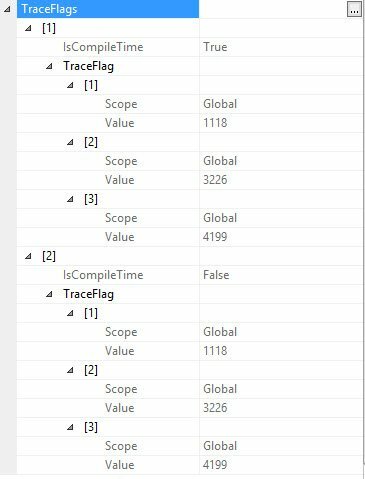 Awesome…Jon’s code breaks out global and session trace flags from the query plan, which makes it easy to find any session level flags in use. Note that this query will return the entire plan cache, so I recommend including additional predicates in the WHERE clause (e.g. where the session flag is NOT NULL). 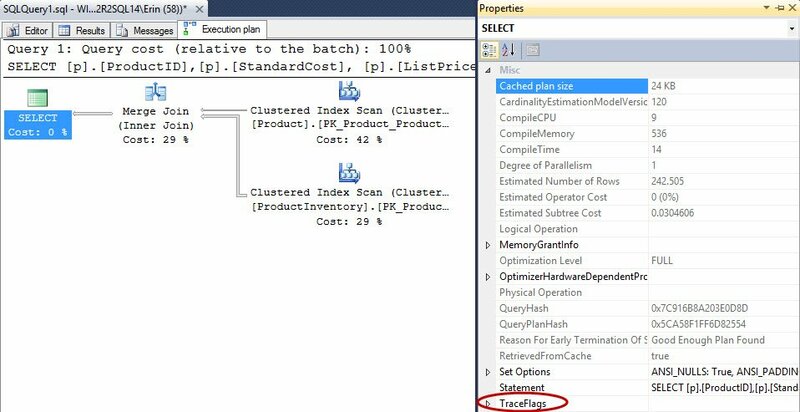 *Note that 4199 is no longer needed in SQL Server 2016 if you’re using database compatibility mode 130, see SQL Server query optimizer hotfix trace flag 4199 servicing model.